The obverse features a Pegasus in full flight. It is depicted in flight as it rises above the clouds with the rays of the sun in the background. The scene is surrounded by the year, "2015" and the word "Freedom", which is fitting, given the image evoked by the Pegasus. It is interesting to note also that the rays of the sun resemble a lightning bolt, like the kind wielded by Zeus, father of the gods. 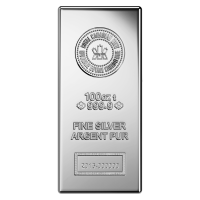 These rounds have the benefit of being struck in 999 pure silver 1 oz increments, making them highly liquid and the most affordable way to own this beautiful design. This round is sure to be a favourite, not only for its magnificent design, but also its low premium. Add this wonderful round to your collection today! 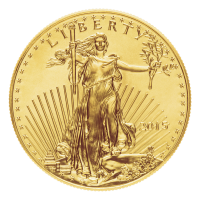 Please note that the coin depicted in the in the video is likely the proof version. líc Pegas v letu nad mraky se sluncem v zádech, obklopený paprsky a slovo "Freedom" a rok "2015"
rub Lýdský lev a býk podpírající erb, který je rozdělen do kvadrant s planoucím sluncem a slova "Free Markets & Free People 1 Troy Oz .999 AG GoldSilver.com"
Pegas v letu nad mraky se sluncem v zádech, obklopený paprsky a slovo "Freedom" a rok "2015"
Lýdský lev a býk podpírající erb, který je rozdělen do kvadrant s planoucím sluncem a slova "Free Markets & Free People 1 Troy Oz .999 AG GoldSilver.com"
Stříbrná mince Pegas 2015, 1 oz The GoldSilver.com Silver Pegasus round is one of the most unique and beautiful privately minted rounds available. It's value is highly competitive and it's meaning is inspiring. A Pegasus was often seen as a friend of the gods and demi-gods, Hercules having been often portrayed with one. A Pegasus was an interesting combination, with the wild and powerful nature of a horse, but the wings and freedom of a bird. Through flight, the Pegasus symbolized the ability of one to transcend earthly troubles and burdens and overcome them. The Pegasus is viewed as a symbol of knowledge, inspiration and justice. 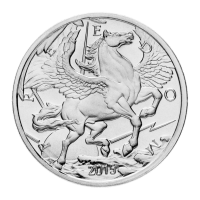 The obverse features a Pegasus in full flight. It is depicted in flight as it rises above the clouds with the rays of the sun in the background. The scene is surrounded by the year, "2015" and the word "Freedom", which is fitting, given the image evoked by the Pegasus. It is interesting to note also that the rays of the sun resemble a lightning bolt, like the kind wielded by Zeus, father of the gods. 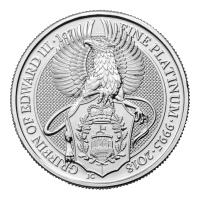 The reverse features the Lydian Bull and Lion, a fitting homage to mankind's first true money coined in Lydia in approximately 680 BC. The bull and lion surround a crest that is divided into four quadrants, each with an image and the crest is capped by a sun, symbolizing enlightenment. Below the crest is the symbol for wealth cycles, which closes resembles the symbol for infinity, and in the scroll work is the formula revealed in the video series "Hidden Secrets of Money" by Mike Maloney. 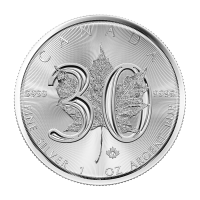 The reverse also features the inscription "Free Markets & Free People" and the words "1 Troy Ounce 999 AG GoldSilver.com" These rounds have the benefit of being struck in 999 pure silver 1 oz increments, making them highly liquid and the most affordable way to own this beautiful design. This round is sure to be a favourite, not only for its magnificent design, but also its low premium. 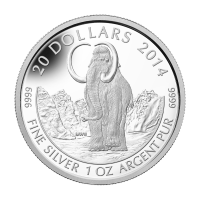 Add this wonderful round to your collection today! Please note that the coin depicted in the in the video is likely the proof version.